Most people wouldn’t immediately jump to the word “underdog” when describing an Olympian, NCAA individual qualifier, and ASU top points scorer, but that’s exactly how Kat Simonovic characterizes herself. 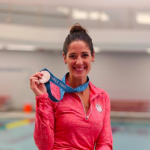 Standing at just 5’3”, Kat says she spent much of her career as the “bubble swimmer,” finding herself always on the edge of time cuts or finals heats. This underdog mentality is precisely what makes Kat a compassionate and relatable teacher in her clinics. A case study for the powerful effects of hard work, Kat is an expert at honing in on the fine details and helping participants capitalize on their natural talents. 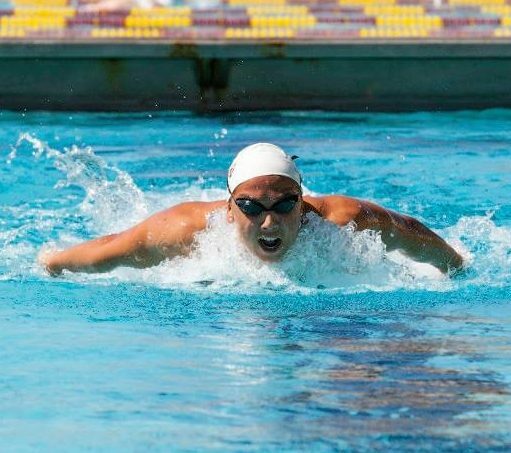 With her infamous scrappy mindset, Kat longs to simplify the “secret to fast swimming” by establishing a few essential pillars for success. Don’t let this simple take fool you; Kat backs up this holistic approach with an intense attention to detail right down to the micro-level. From the subtleties of butterfly body position to the perfect freestyle catch, Kat has you covered. Even down to the mechanics of the flutter kick, for which she believes there exists a very specific technique, Kat knows how to claw for each and every advantage. If anyone is a guru in preparation, it’s Kat Simonovic. Do you want to learn how to nail down good habits and break down your races in order to play to your own strengths? There’s no way you won’t get faster with Kat. Sign up for her next clinic today!